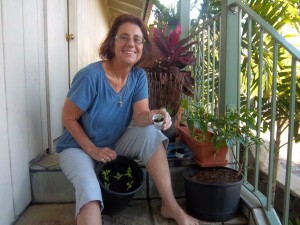 Wanda Adelaide Adams is a Mauian, raised in verdant, storied ‘Iao Valley. Her parents operated the 20-room Hotel ‘Iao Needle with its happenin’ bar and “fine dining” restaurant. She learned to cook from her Portuguese grandmother and netted pesky white moths among Grandpa’s couves (cabbage), but never inherited his gardening skill. No threat from her harassed mother could keep her out of the hotel kitchen. For 15 years, she was uniquely situated to report on the development of the Pacific Regional Cuisine movement as a feature and food writer at The Everett Herald and later the Seattle Post-Intelligencer. 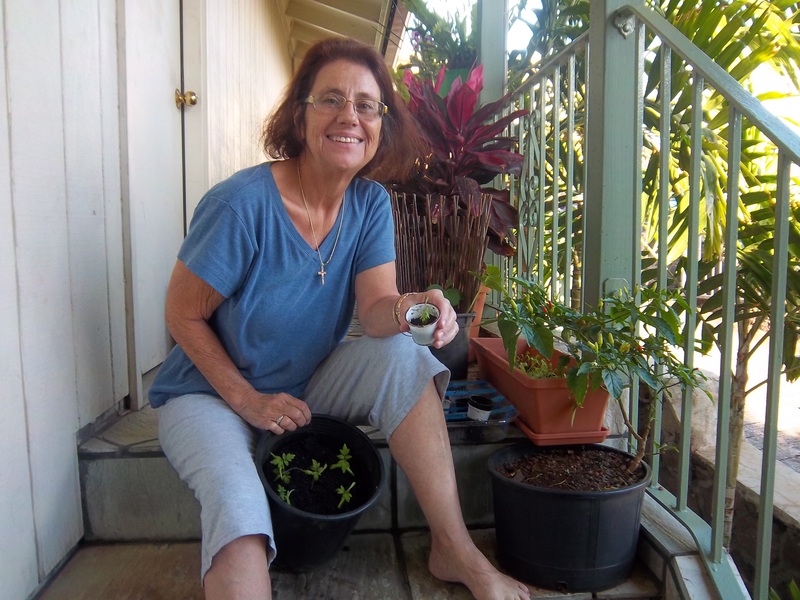 Returning home in 1989, she was among those who documented another foodie revolution, Hawai’i Regional Cuisine, which, for 25 years has malama’d our farms and food producers, fed us and taught us to buy and eat local. Her job of love was at the late, lamented (by her, anyway) Honolulu Advertiser where as food editor she got the chance of her life when she was asked to write a history of food through the pages of the then-150-year-old newspaper. 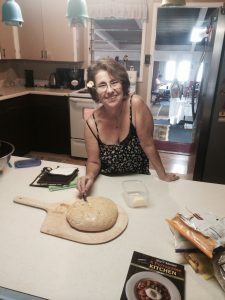 The result was the bestselling 2005 book, “Island Plate, 150 Years of Foodlore and Recipes from The Honolulu Advertiser.” She followed this with Island Plate II and three other books of her own and two for which she acted as editor. 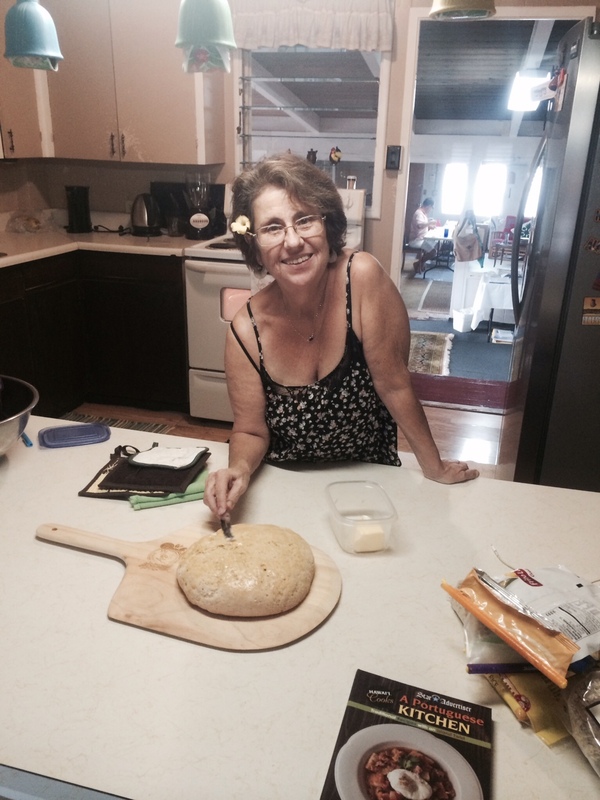 Her latest was the work of more than a decade, or perhaps you might say all her life: “Hawaii Cooks: A Portuguese Kitchen,” for which she interviewed dozens of Portuguese American elders and studied the history of this odd-to-be-in-Hawaii culture. Garden girl. I kill everything but Portuguese cabbage. Forcibly and gleefully semi-retired, Wanda continues to cook every day, collect community cookbooks and cater to volunteers at the annual 10-day Friends of the Library book sale. She has also adopted a new career as a companion/caregiver to elders (and of course she cooks for clients). 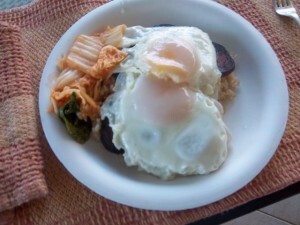 Our convoluted cuisine: SPAM loco moco with brown rice cooked with kim chee and dashi. A long-ago holiday breakfast for Husband. “Even people who have lived here all their lives don’t know why half the dishes we think of lu’au foods are not of Hawaiian origin, why we eat Saloon Pilot crackers, how our fierce loyalty to SPAM developed, how many of our most favored eat-out/take-out/snack-out foods are made or where they originated,” she says. “Even the signature dishes of arriving cultures have been profoundly altered here, as immigrants to the Islands ‘made-do’, and as our tastes were changed by our close contact with each other. “I stand metaphorically in the slippers of thousands of women and men in ill-fitted plantation kitchens, cooking on kerosene stoves made from tin cans, baking bread in outdoor masonry ovens, tending gardens of vegetables descended from seeds babied by plantation contract workers through long sea voyages, learning to use native ingredients, “canoe foods” (brought by South Pacific voyagers) and ethnic imports although in their own ways, serving as cooks in the kitchens of the elite and thus creating a conversation between East and West. Hele mai ‘ai. Lucky we live Hawai’i. Vamos la cozinhar! Kapolei High School is writing a book titled “From the Heart of Hawaii’s Families” to focus on how Hawaii’s families weather challenging, difficult times and how they celebrate happy times. We are collecting favorite family recipes for the book to benefit Kapi’olani Medical Center for Women & Children to expand its neonatal facilities. May we have permission to include your recipe for Grandma’s Hekka, as printed in the Honolulu Advertiser, May 2, 2008? We also love your tribute to Grandma. Please respond when you can. Thank you! Cynthia Pratt, KHS Culinary; Food Science. Wanda, My friend Susan Iwata directed me to your blog for the bobotie recipe. I got to this page and was interested in your reference to “Japanese Cooking,” the “blue” bible of local Japanese. My mom had the 1951 version, now replete with handwritten recipes and food stains. 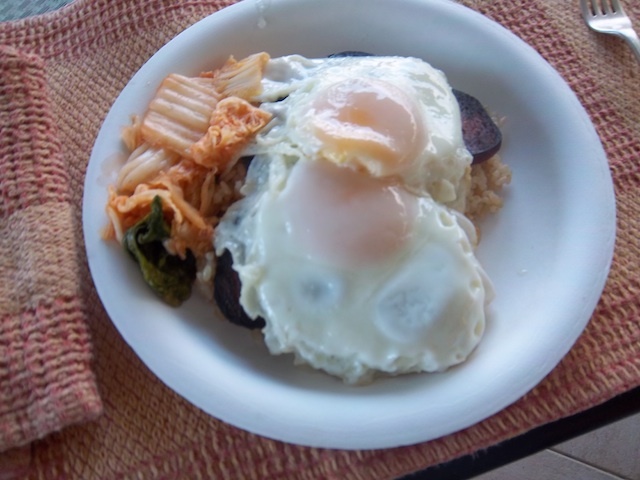 (I am saving it for one of her grandchildren my niece because she is the only girl or younger son who loves to cook.) I received the 1969 copy when I graduated from high school from an aunt. Recently, I found the 1956 publication at the Punahou White Elephant tent. I scooped it up for someone. For me it really provides a window to the past. Whenever my nisei mom wanted to make something “Japanese,” she generally referred to “the book”! Could you please e-mail to me the article on Musubi from the Star-Advertiser? I can’t get any articles without paying for them.